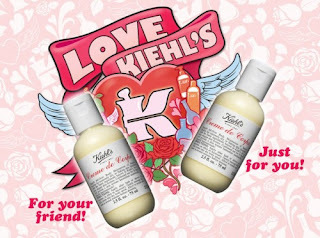 Bring in a friend to any Kiehl's store in Canada on February 9th - 14th, and you both will get a travel sized bottle of Creme de Corps (75ml). This promo was in the latest Kiehl's newsletter, so if you're a subscriber - watch for your newsletter in your email. You may just need to ask the sale clerk in the store, if you don't have the newsletter - they can add you to the database while you are there. TIP - Bring a friend who doesn't want the free bottle and will give his or hers to you, and you will get two free bottles!